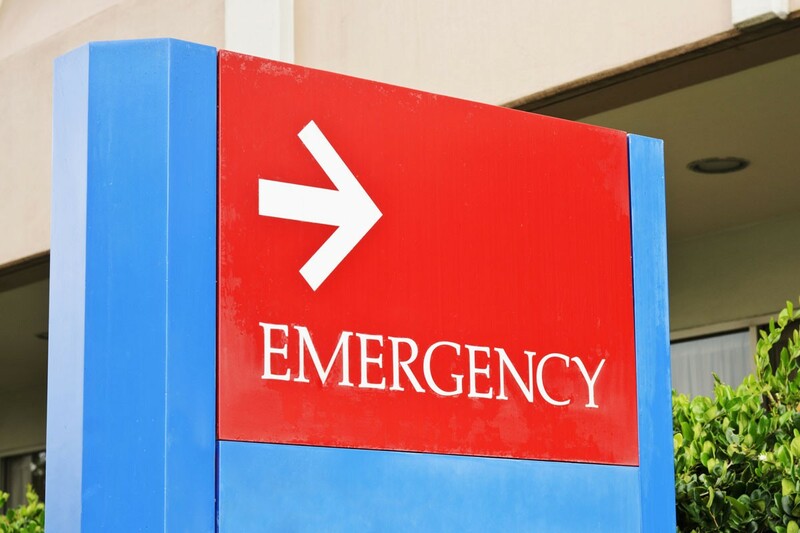 Emergency Room, Urgent Care, or 911? Your infant wakes up in the middle of the night crying, and when you touch her she feels like she’s on fire. After a fall during a soccer game, your child’s ankle is swollen and tender. Your son gets a bee sting, and suddenly he starts to wheeze. Which one of these warrants a trip to the emergency room? What about a call to 911? Or maybe you can just go to an urgent-care clinic. When you’re by yourself and don’t have a partner to quickly ask for help, it can be scary trying to decide where you should take your children when they are sick or injured. Although it is always best to err on the side of caution, there are guidelines that can help you decide where you need to go. It is always best to be cautious, so if you think your child may be seriously ill or injured, the emergency room is your safest bet. If you are concerned about making it to the emergency room in time, call 911. Breathing issues, seizures, severe bleeding, and unconsciousness are all reasons to call 911 so an ambulance transport your child to the emergency room. Not only can an ambulance get your child to the hospital faster than if you drove yourself, they are able to provide life-saving treatment on the way. So, very high fever in very young child? Take your child to the emergency room. Swollen ankle after a fall? Take your child to urgent care. Wheezing after a bee sting? Call 911. If you’re ever in doubt, err on the side of caution, but using these common-sense guidelines may save you some time and money on illness and injuries.